One could agree that since ancient times, nurturing the skin has always been a tradition among humans. Different times found us trying different ways, some very effective, some mildly so. But now, we find a multitude of products claiming to be the ultimate solution to all your skin troubles leading us to the quite natural dilemma of choice. Most of us use a lot of products on our skin and hair, not realizing that a major percent of the products we use come loaded with artificial ingredients. With these products, you are doing your skin no favor but burdening it in the long run. These chemicals clog up the natural cleansing and detox cycles of your body. This is where nature steps in, with the age old recipes dusted straight out of a grandmother’s diary. The pros of going ‘au natural‘ is that the ways are quite inexpensive, skin friendly, and of zero pollution. The best thing about it is that almost all you need to supplement your skin can be found right inside the kitchen or in your garden! When talking of the traditional skin treatments in India, how could one miss out on the most favored friend to the skin, the neem plant. Neem is the messiah for acne, pimples and other skin infections, used since the ancient times as an effective cleanser-detox agent. It is famous for its antibacterial, anti-inflammatory, antiseptic properties and its leaves have been in an ingredient in home remedies for rashes, allergy, and inflammation. Neem supplements as an essential element in many face washes and creams that are meant for oily and acne prone skin type. Some of the benefits of the neem face pack are that it absorbs extra oil, making your skin smooth and devoid of impurities. There are multiple face packs which could be whipped up in your kitchen to give you a clear, blemish-free skin. 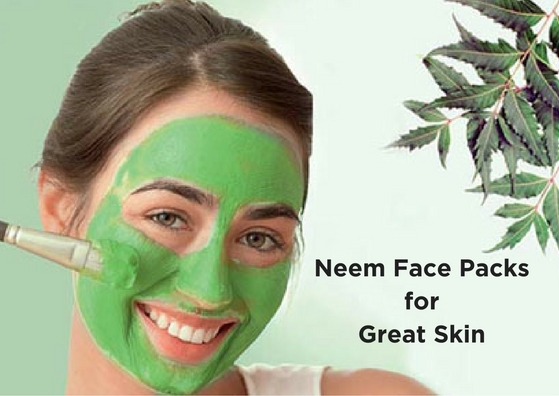 So today, let’s take you through some neem face packs, an effective answer to all your skin troubles. This is a neem face pack for pimples and acne prone skin. 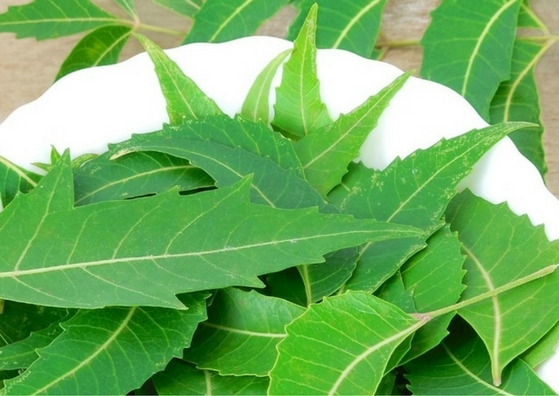 Get hold of the freshest of neem leaves you can find, and grind them into a smooth paste with a little bit of water. Blend in two to three pinches of turmeric. Or get a readymade face pack here. Wash your face thoroughly and apply the paste all over it. Leave it for ten to fifteen minutes and then wash with cold water. Regular use diminishes the pimples and prevents them from coming back. Read more about how to get rid of acne and pimples. This neem face pack is for oily skin, to get rid of all the excess oil and get smooth, glowing skin. Take some fresh leaves of neem and blend into a smooth paste with two to three teaspoons of lemon juice. Cleanse your face with water and apply the pack for 15-20 minutes. When the skin tightens, rinse the pack off. Repeat regularly for shine free, brighter skin. Essentially a neem face pack for pimple prone skin, this mixture is made from fresh neem leaves, ground to a thick paste with curd and gram flour. To make it, simply blend two tablespoons of curd and gram flour each with about 8-10 neem leaves. Wash and cleanse the face thoroughly before applying this pack. Spread the paste evenly and leave it for 20-30 minutes before rinsing it off with luke warm water. Repeat regularly for even toned skin that is free from pimples. Your ultimate remedy for soothing the skin, this pack is made by mixing equal parts of neem powder with sandalwood powder. Make a paste in rosewater or just plain water and apply it all over your face. The pack will soothe your skin and give it a natural glow. Get this pack here. This neem face pack for oily and tanned skin is made by mixing fresh neem paste with honey. Apply it on your skin for 15-20 minutes before rinsing it thoroughly out with lukewarm water. The honey used helps to tone and refresh dull skin while the neem fights oiliness and related skin problems. Check out this video that illustrates how to make the perfect neem face pack. The availability of fresh neem leaves could be quite an issue for most of us, also the tedious process of blending it into a paste. An easy way around this is to preserve the neem as a powder. Sundry the neem leaves till they are crisp and crush into a fine powder in the small jar of your mixer. 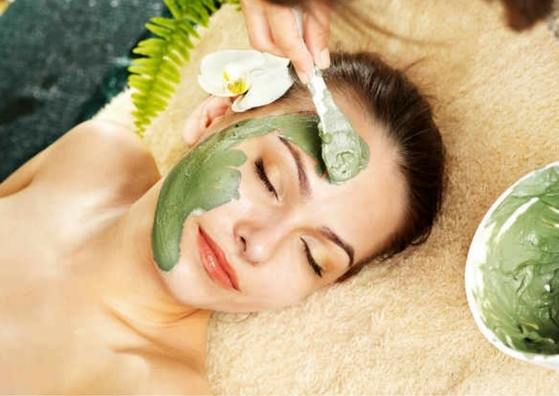 You can also buy a readily available face pack made of organic neem leaves. Use this as a substitute to fresh neem, and there you go, you have your clear skin secret with you!